Does COMP Cams RPR205 fit your vehicle? How is this kit different than the RP1411-16 kit? &nbsp;They look the same and I don't see any difference in the descriptions. 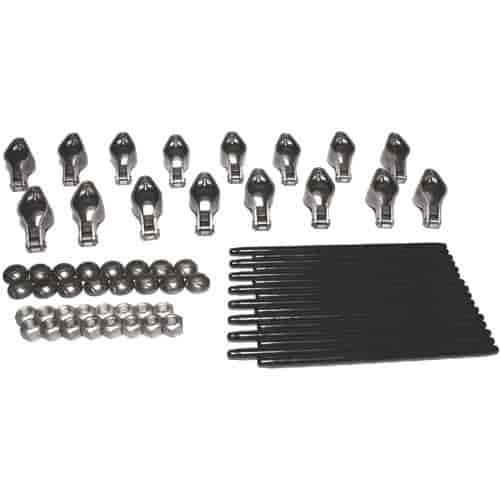 This kit is made for a retro fit hydraulic roller lifter and will have a different length pushrod than the RP1411-16 kit. Will the stock valve covers fit with these rocker arms? The Comp Magnum rockers work with standard height valve covers.